The conflict in Syria has caused more than $16 billion in crop and livestock losses and destroyed farming assets, according to a 2017 report from the United Nations’ Food and Agriculture Organization. Since 2011, household livestock ownership in the war-torn nation has plummeted, down by 47 percent for poultry, the report states. Against that backdrop, in an area deemed not safe enough for University of Florida faculty to travel to at this time, attendees of the Fifth International Poultry Conference at Hama University in Syria this week will nonetheless benefit from the expertise of UF veterinarians who found a way to share their research. Gary Butcher, D.V.M., Ph.D., and Jorge Hernandez, D.V.M., Ph.D., faculty members in the UF College of Veterinary Medicine with expertise in poultry medicine and epidemiology, respectively, were invited by conference organizers to exchange information with local scientists, policymakers and producers about diseases in poultry that are of economic and public health importance. The conference runs through Wednesday. Butcher, a professor and poultry extension specialist with the UF Institute of Food and Agricultural Sciences and the UF veterinary college, and Eric Heskett, D.V.M., Ph.D., a poultry veterinarian at Case Farms in North Carolina, collaborated to create a presentation on mycoplasma bacteria, specifically two strains that have caused major losses to the commercial poultry industry worldwide. The presentation, videotaped and transmitted to conference organizers via a cloud-sharing portal, was delivered by Butcher in English, with time lapses between slides to allow a translator to interpret the information for non-English speaking individuals in the audience. The presentation touches on the bacteria’s history and how the two strains have evolved in the last 30 years. The two strains of mycoplasma focused on — Mycoplasma gallisepticum, or MG, and Mycoplasma synoviae, or MS — are causing even more severe losses in today’s commercial broilers due to the genetic changes made for improved performance, Butcher said. Before 2011, the year the conflict began, Syria had about 24 million poultry — 16 million layers and 8 million broilers, the researchers said. The effect of the civil war on livestock and poultry production systems in Syria has been significant, as production has dropped by 50 percent, according to surveys conducted by UN FAO in the region. In his talk, Butcher also discusses how other changes in antibiotics, vaccines, testing methods and broilers themselves have led the poultry industry to where it is today in combating the increased threat of mycoplasma infection. The efficacy of various diagnostic testing mechanisms were discussed, along with the importance of prevention and control of mycoplasma infection in poultry and the critical role of biosafety protocols in containing disease. Hernandez’s presentation examines surveillance systems for early detection and risk management to prevent disease spread and economic consequences in the poultry industry. The presentation covers syndromic surveillance methods and techniques, with an emphasis on risk communication among poultry producers, poultry veterinarians and national government veterinary services. The presentation includes examples of previous epidemics of highly pathogenic avian influenza, or bird flu, and situations when the response by national government veterinary services was appropriate or when it was delayed, causing disease spread and economic losses. In addition, the presentation includes a group discussion, live via Skype, for conference delegates and Hernandez to examine the current capacity for disease surveillance systems and health policy. 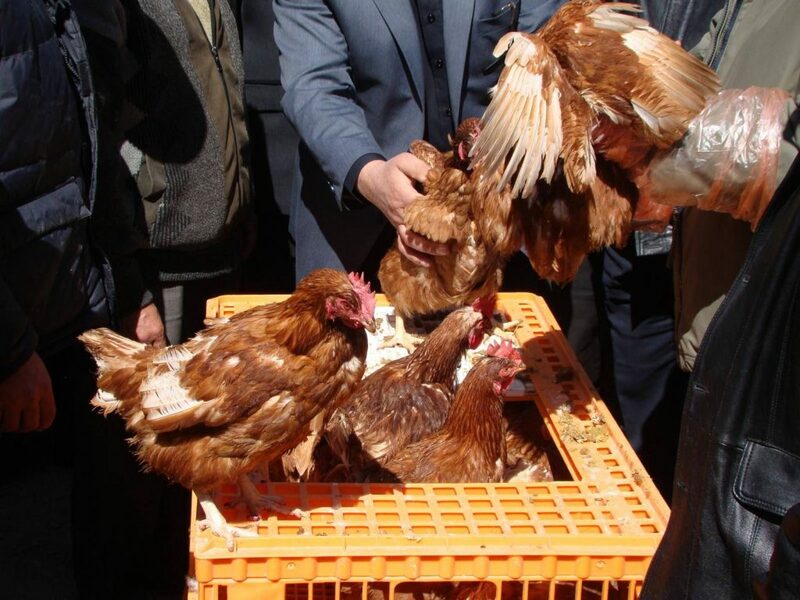 These policies include quarantine, enhanced surveillance, enhanced biosecurity, animal movement control, vaccination, depopulation and education, which can be considered to reduce the risk of potential disease outbreaks in the poultry industry in Syria, despite current geopolitical challenges in the region.